The very term “Artificial Intelligence” brings to the mind, a very dehumanized and mechanized system that is counter-intuitive to a department like Human Resources where it is expected that the personal connect goes a long way in getting work done. However, this misconception really doesn’t hold true in our technologically advancing times, where data makes the difference and computation is key. There are several unimaginably unique ways in HR can be assisted by AI. There is perhaps no better part of an HR employee’s work that can be enhanced with AI than, talent assessment. Recruiting is one of the integral components of human resources, and as such, there are several hindrances that may get in the way of perfecting the process of selecting employees appropriately suited to vacant jobs. AI fills these gaps in a wholesome manner, contributing holistically to the process, ensuring that it is beneficial to the industry and the prospective employee’s interests. Time is money and AI saves you both! One of the greater parts of talent acquisition involves weeding through huge quanta of data, in order to arrive at the resumes that certain jobs demand. The analysis of significantly large amounts of data is not only time consuming, but also wastes the manager’s professional potentiality. Ensuring that the legal side of things are in place, and managing employees’ concerns is a very important aspect of their job, and working through hundreds of resumes in order to streamline the process, by narrowing the applicant pool just hinders the manager from focusing on issues that really need human consideration. As high as the height of human hubris may be, it must be graciously accepted in our evolving times of big data analytics, and cloud computing that the domain of data computation and analysis is best left to computers. Just for one moment, imagine how much time would be saved in a service based business corporation if a huge chunk of the recruitment process was efficiently completed. It serves the interest of the prospective employee who doesn’t have to wait for longer duration of time prior to being intimated about his process of application, and it saves up heaps of time for the HR department to work on other issues of import (as mentioned above). Another really important and oft ignored benefit of utilising AI in talent recruitment is, in the writing of emails. Automating email responses saves quite a bit of time, as well, and that burden is alleviated. Get ready for advanced efficiency in recruitment! Perhaps the greatest thing about using AI, is that the currently existent technology is a beautifully constructed construct with such a lowered error rate, that it does wonders in enhancing efficiency and producing better outcomes. Technologies like advanced natural language processing and emotional recognition (via webcams), can dissects every reaction to a query to really get to the bottom of the psyche of the individual being interviewed, one can only infer how much better such a process would be. It’s clear that in any business, some jobs demand workers to have a high level of stress, and others relatively lesser so. The very idea that a computer can perfectly encapsulate the emotional range of a prospective employee by assessing his/her reactions, prior to mapping his/her nervousness, or anxiety, or confidence, should be exhilaratingly satisfying to the Human Resources department. A significant problem that is faced by hopeful employees and HR managers is avoiding biases in the process of conducting interviews. As humans, we err. That statement is entirely true. And the implications of that sentence can only mean that with differences in the characteristics of different hopeful employees, there may be grounds both for actual and perceived ethnic, religious, racial, and sexist biases. And these are just troublesome prima facie for obvious reasons. However, with an Artificial intelligence programmed with no bias or preference to a particular kind of individual whatsoever, there can be no bias, and people knowing that they are dealing with an artificial intelligence are not going to walk away from the interview with any wrong idea that they were discriminated. Overall, this serves as a hugely positive benefit. Cooperative Solutions with AI are the future! The one misconception that is as deeply unsettling, as it is wrong about using artificial intelligence in this domain, is that it replaces the human element in human resources. This sentiment is extremely irrational, and it must be understood that they are not mutually exclusive. AI can help HR managers; not replace them. And in order to realize the truth of that sentiment, one need only ask how informed decisions are made. A decision is only as strong and good as the information and evidence backing up that decision. With the help of extremely advanced computational software in AI that helps select the best candidates and which also helps in preliminary interview assessments (through facial recognition software tools in webcam based interviews), there is an abundance of evidence backing up the streamlining of the process. It is not that the HR department is entirely removed from this method. In fact it is advocated that the final interview and the selection be made by a human. It is only asserted that that decision is going to be a whole lot more sound, with all the unbiased and technically accurate analysis that AI provides. 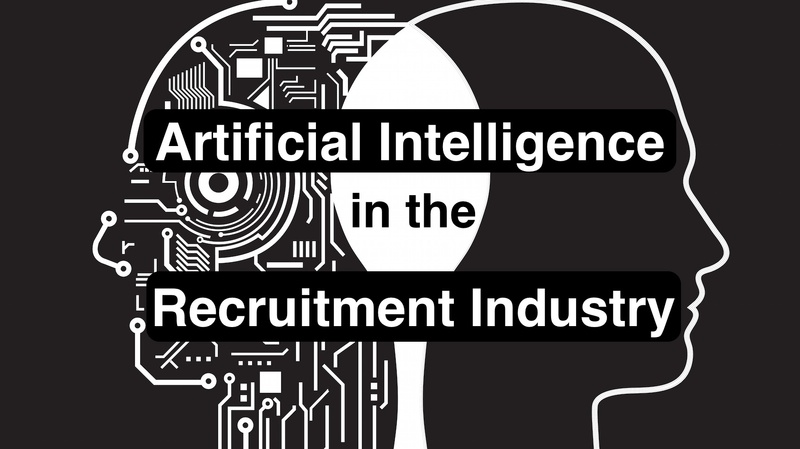 To that effect, it becomes clear how AI can hopefully become an integral cog in the wheel of recruiting. Embrace the future!